Of all the hardwoods, I think poplar is the most misunderstood. It has traditionally been used on insignificant internal components of furniture as a secondary wood. A lot of folks get turned off by the green and brown streaks sometimes evident in the wood. But this can be overcome. Or you can use it to add visual interest to your piece. But most of all, I like poplar because it’s so easy to work with. It machines well and works superbly with hand tools. 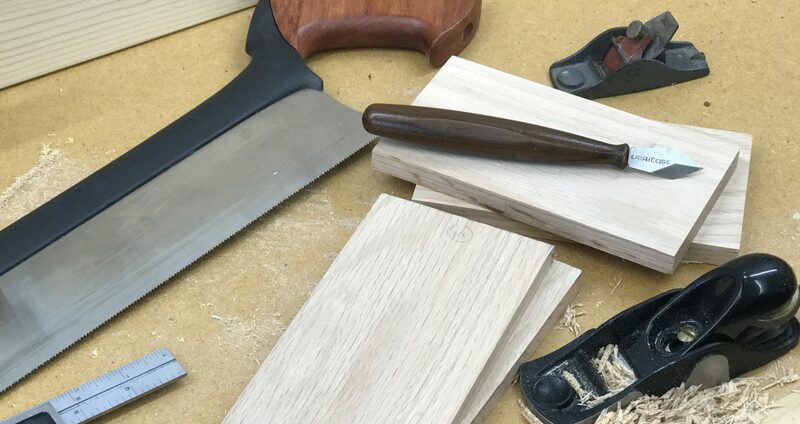 Smoothing a surface with a sharp hand plane is a dream. You can find large boards that are straight-grained and knot-free. This makes it easy to cut great-looking workpieces. Oh…about those green streaks? Try tanning them. Seriously. On a bright, sunny day, set your finished piece outside for a hours at a time. You’ll find the pale, creamy color turning darker. And the green streaks will darken to a nice, mellow brown or tan color. When the color darkens to the desired hue, you can go ahead and apply a clear finish. I like to use boiled linseed oil and follow that with a wipe-on varnish. You’ll find that poplar will continue to darken as time goes on. I like the look. I built the table you see here using poplar for the legs, frames, and edging. I set it outside for a couple of days to mellow out the color. If you’re more into hiding the color variations in poplar, try applying a gel stain. I’ve seen poplar stained with a java gel stain that makes poplar look more like walnut. It’s an impressive look. You know, there’s one more thing to mention…of all the native hardwoods, poplar is the least expensive. So there’s no excuse not to give it a try on your next project. 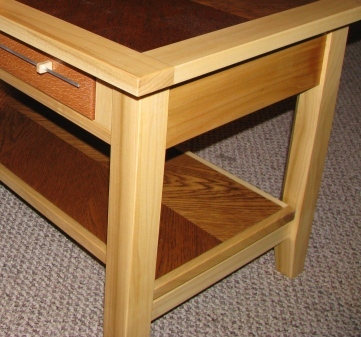 Posted on February 12, 2010 February 22, 2010 by Randy MaxeyPosted in Furniture, WoodworkingTagged Furniture, Poplar, Woodworking. Next Next post: Did I tell you how much I hate finishing?